It would be hard to name anyone who has had more of an impact in the realm of animal research and wildlife conservation than Jane Goodall, whose 45 year study of wild chimpanzees in Africa is legendary. 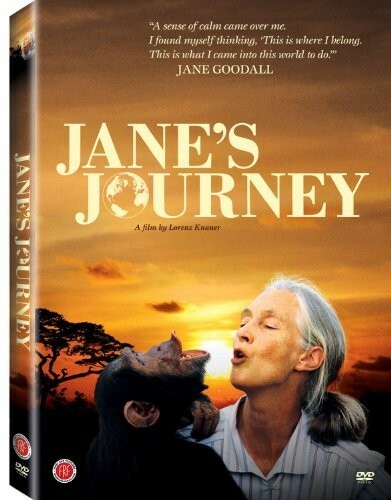 In Jane's Journey, we travel with her across several continents, from her childhood home in England, to the Gombe National Park in Tanzania where she began her groundbreaking research and where she still returns every year to enjoy the company of the chimpanzees that made her famous. Featuring a wide range of interviews and spectacular footage from her own private collection (including her years in Gombe), Jane's Journey is an inspiring portrait of the private person behind the world-famous icon. For books and other resources about Jane Goodall, visit A Mighty Girl's Jane Goodall Collection.